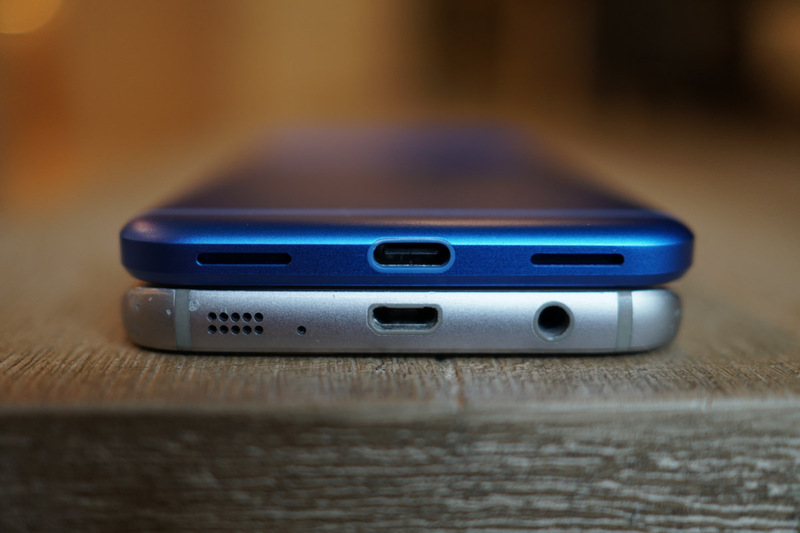 Alright, so it won’t be a full death, because there are thousands and thousands of gadgets that still sport microUSB ports, but when the Galaxy S8 and Galaxy S8 Plus are announced next month at an event in New York City, we’ll welcome in the official era of USB Type-C. That’s something we should all applaud, even if it’s not a moment you had given much thought to. You might be thinking, “Ummm, Kellen, almost every phone last year launched with USB Type-C, so why does the Galaxy S8 get credit?” Because the Galaxy S7, a phone that sold in massive amounts in 2016 and crushed sales of the phone you are holding right now, had microUSB. Even if the LG G5 and V20, Google’s Pixel, the HTC 10, the Moto Z family, OnePlus 3 line, and almost any other phone that launched had USB Type-C, it doesn’t really matter. The king of Android phones (in terms of volume) is the Galaxy S line and it still featured the older, more frustrating plug. So when the Galaxy S8 shows up with a USB Type-C port, the hundreds of accessory makers around will be all-in as well. They’ll have to be. We’ll fully take that next step towards Type-C saturation, where everything in your life can be the same plug (again). Only this time, it’ll be a cable that you can plug-in in the dark without looking, that’ll charge your stuff fast, and transfer data faster. When you head to the wireless carrier to buy a new phone in 2017, you’ll get to choose from phones that should all have the same USB Type-C port (unless you buy one of those app jukeboxes that lacks innovation). From the S8 to the G6 and Pixel or Moto phone, it’ll be Type-C. But maybe more importantly, your house gets to become USB Type-C. I sort of bring this up today because my wife gave up on her Galaxy S7 hours ago (probably because I had it running beta software and the bugs weren’t exactly providing a lot of love) and switched over to a Google Pixel. That means our house is now 100% on the same charger and cable. I cannot express to you how great this moment is. When we pack for a trip, we no longer have to cover all charger types or make sure each other has a charger for each other’s phone. Nope, now we just grab whatever charger is there and go because it’ll work with either of our phones now that microUSB has been removed. In the car, we no longer have to sift through cables to find the correct type. In the bedroom, office, or kitchen, that cable lying there just works. That battery pack only needs one cable ever attached to it going forward. Good lord, it’s glorious. Right now, you might not think that this is that big of a deal. Trust me, by the end of the year, assuming you and whoever else you live with bought new phones, you’ll think back, toss a nod this way, and join us in pouring some out for our old friend, microUSB. The end is near, buddy.